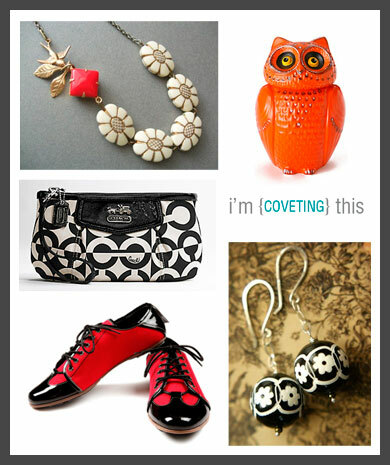 A girl can never have too much jewelry or too many purses; and the red shoes, well, I like a punch of color on my feet; and the orange owl, I saw it on one of my many trips to Anthropologie and I knew I must have it for my kitchen. I've always wanted a cookie jar! !